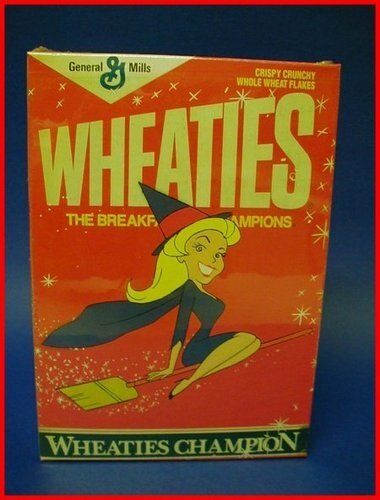 Bewitched on "Wheaties". A one-off item is this Bewitched wheaties tin.. Wallpaper and background images in the Bewitched club tagged: bewitched elizabeth montgomery samantha stephens bewitched collectables. I would always eat my Wheaties if I gained the ability to twitch my nose (or upper lip if we wish to be all technical). Alas, it's not in the cards for me.